London Art Fair 2018 closed reporting robust trading and won great approval for its curated spaces. 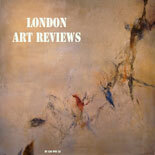 The 2018 edition of London Art Fair celebrated the 30th anniversary. The Fair was firstly held in 1989 as an initiative of the Business Design Centre, Islington, where it has been organised ever since. Initially known as Art ‘89, over the last three decades London Art Fair has constantly grown up and is now known to be one of the leading platforms for modern and contemporary art. London Art Fair 2018 saw the participation of 131 exhibitors representing 18 different countries, offering a significant panorama of the British and international art. Confirming there is still a high confidence in the contemporary art market, London Art Fair 2018 participating galleries reported strong sales across all mediums including painting, photography, prints and applied arts. London Art Fair 2018 supported collecting at all levels, with works by internationally renowned artists. This year, famous sales included a Grayson Perry embroidery sold by Castlegate House Gallery for £45,000; a Picasso drawing sold by Gormleys Fine Art for £52,000; and an Eduardo Paolozzi bronze sold by Piano Nobile for £165,000. This year edition of the Fair confirmed again the attendance of a number of notable curators and representatives from public and private institutions from all over the world. Launched in 2007, Photo50 provides a critical forum to examine and debate some of the most innovative and distinctive elements of contemporary photographic and lens-based practice. This year’s Photo50 exhibition, entitled Resolution is not the point, was curated by Hemera, the first collective to take on this role. Established in 2005 to support emerging galleries and encourage innovative presentations at the Fair, Art Projects included 33 exhibitors presenting solo and group shows. A major feature of Art Projects was Dialogues, which invited pairs of galleries to create a shared presentation, encouraging inventive collaborations and new relationships. This year Dialogues was curated by Misal Adnan Yildiz, former Director of Artspace NZ and Artistic Director of Künstlerhaus Stuttgart. It featured five partnerships between local and international galleries, each focusing on the representation and recontextualisation of the female through live performances. This year’s De Longhi Art Projects Artist Award winner Nilbar Güreş (Galerie Tanja Wagner) was drawn from the Fair’s Dialogues section. London Art Fair 2018 has been at Business Design Centre, Islington, London, from 17th until 21st January 2018. This entry was posted on July 21, 2018 by London Art Reviews in News, Other Art Events and tagged London Art Fair, London Art Fair 2018.